3D PDF Converter is an integrated software working within the Autodesk® Revit® environment that enables users to publish rich, interactive 3D PDF files that are significantly smaller than the original Revit 3D models. 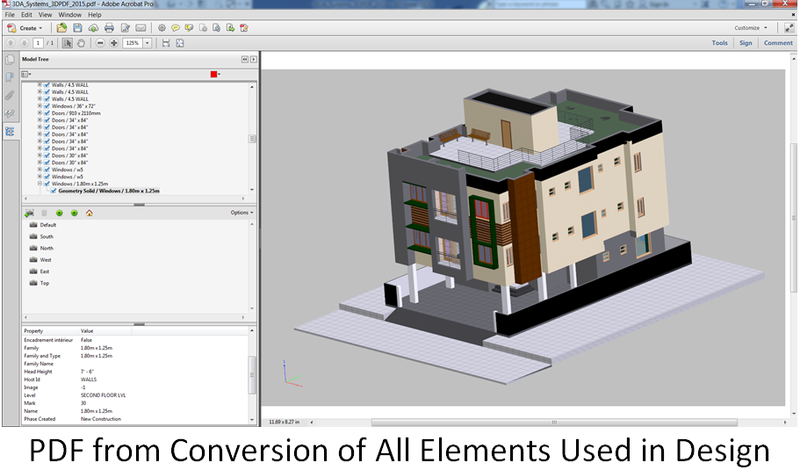 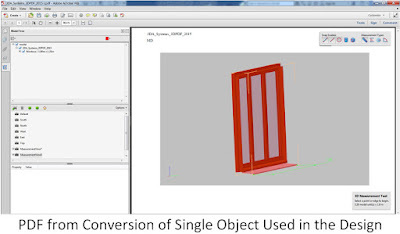 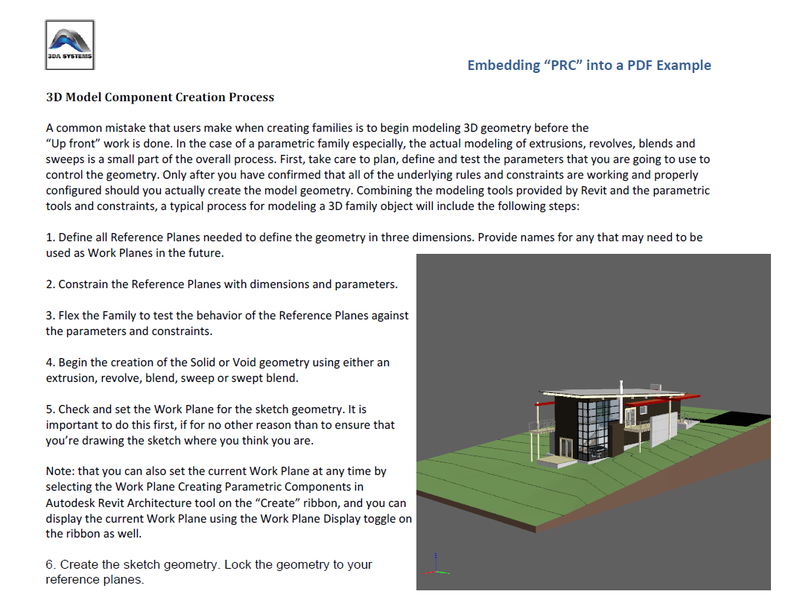 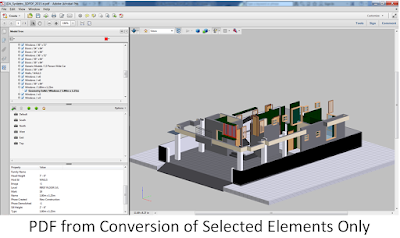 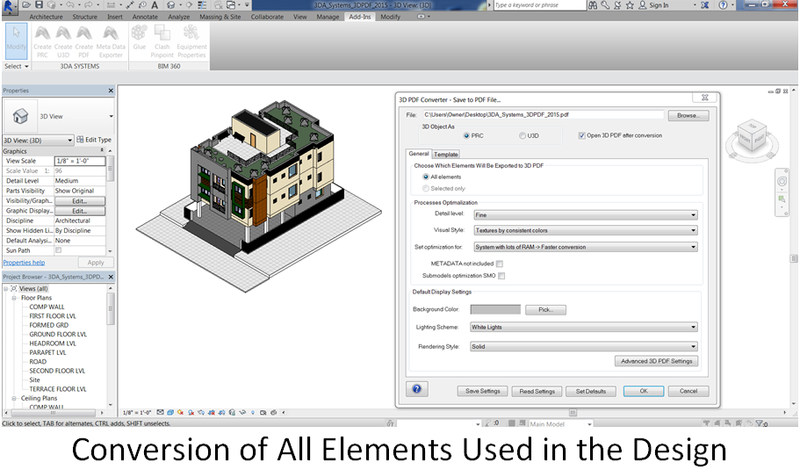 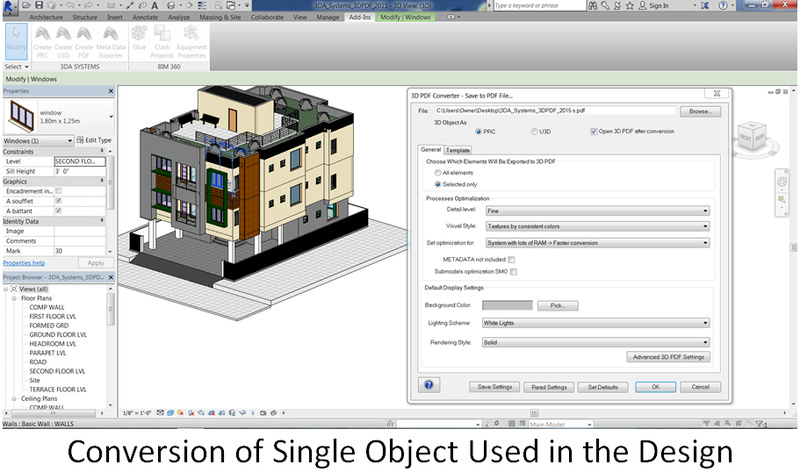 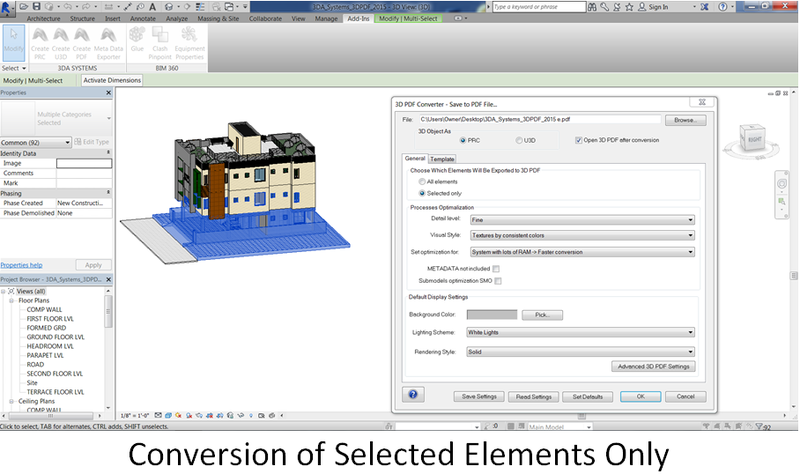 The 3D PDF Converter for Revit connects the extensive Building Information Modeling (BIM) community for the first time with a Revit plug-in that supports data sharing using 3D PDF based on the PRC file format. 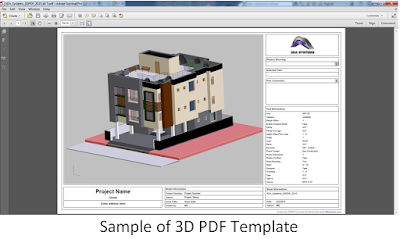 The software uses the Adobe 3D Technology as a one button file conversion that is easily exchangeable and viewed with the free Adobe Reader. 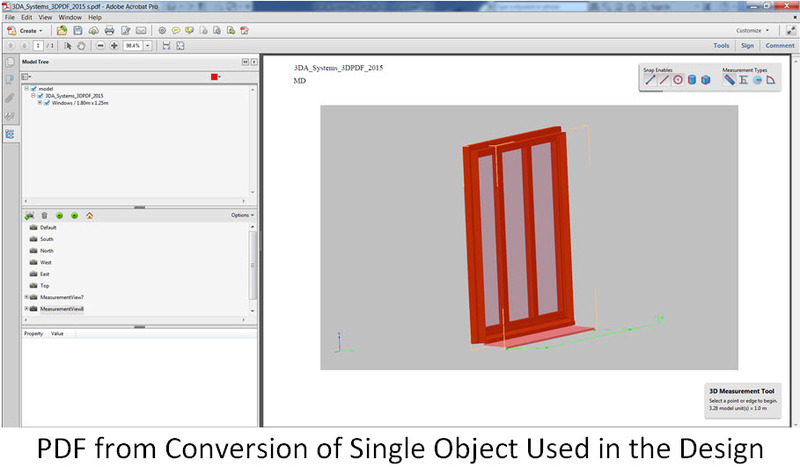 For helpful hints please refer to our 3DA Systems YouTube channel for tutorial tips and tricks. 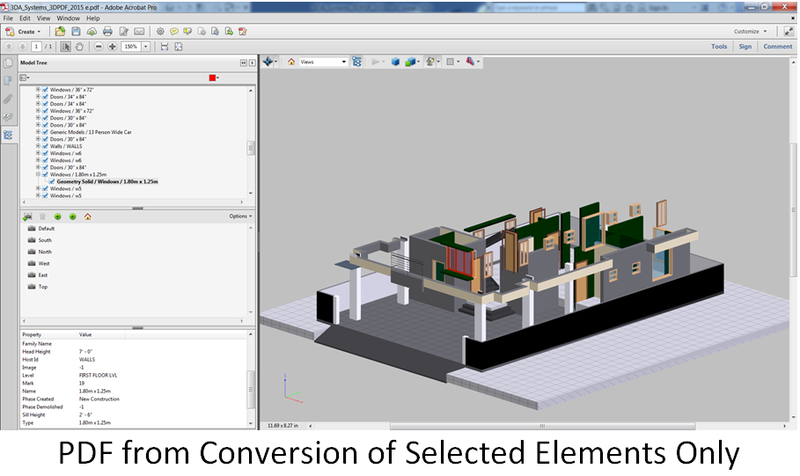 Note:To run the application,run Revit as administrator. 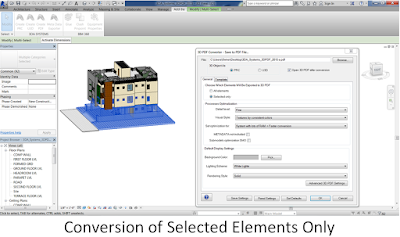 Free Trial offers FULL functionality for 15 executions, so you can experience all the power and features 3D PDF Converter has to offer.